The Big Sky Transportation District, working with its partners in Big Sky, has set the new schedule for Skyline’s winter season. The new schedule will run from Monday, November 19, 2018 through April 21, 2019. There will be thirteen round-trips on the Link Express between Big Sky and Boze- man, including early morning and late night service. Local service within Big Sky is provided by the Canyon-Mountain, Meadow-Town Center Circulator and Mountain Loop buses and is fare free. A fare is charged for rides on the Link Express. 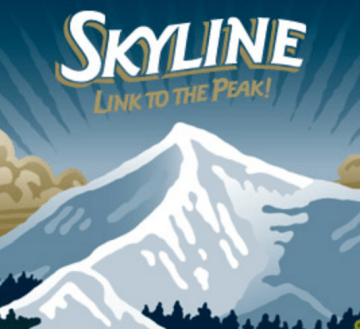 In addition to cash fares, Skyline riders can purchase punch cards or a winter pass for the season. Cash fares are $5 per ride, punch passes come in 10, 20 or 40 ride cards for $2.50 per ride, and winter passes are good for rides from now until the end of April 2019 for $400. Passes can be purchased at a variety of participating busi- nesses, see our website for a complete list of locations. Skyline is very pleased to announce the release of their new mobile app, Ride Skyline. With this app, riders will be able to track Skyline’s buses in real time and receive important information and updates about our services. The new app is called “Ride Skyline” and is available for iPhone through the Apple App Store or for Android Phones through Google Play. ridership growing by 9.6 percent and Link Express up by 3.3 percent, it’s clear that residents of southwest Montana are responding to increased economic and population growth throughout the area by exploring alternative means of transportation,” said David Kack, Skyline Coordinator.